Slow Cooker Caramel Sauce is perfect to make for holiday gifts, or just make it as a treat for your family! Click here to see The BEST Instant Pot Chocolate Desserts! Click here to see The BEST Slow Cooker Chocolate Desserts! For Friday Favorites we feature past recipes you might have missed, and if you’re looking for something delicious or a fun project to give away to neighbors, this Slow Cooker Caramel Sauce from The Yummy Life sounds perfect. I’m one of those people who tries hard to resist some of the sugar rush that usually accompanies December, but I realize that sweets are an important part of the holiday traditions for most people. And if you’re going to have sweets, making them yourself is a great way to be sure they use high-quality ingredients and are worth the calories. Monica from The Yummy Life tested this Slow Cooker Caramel Sauce over and over to make sure it was perfect. And not only does she have brilliant step-by-step directions for how to make it, but there are printable labels if you want to give this as holiday gifts! 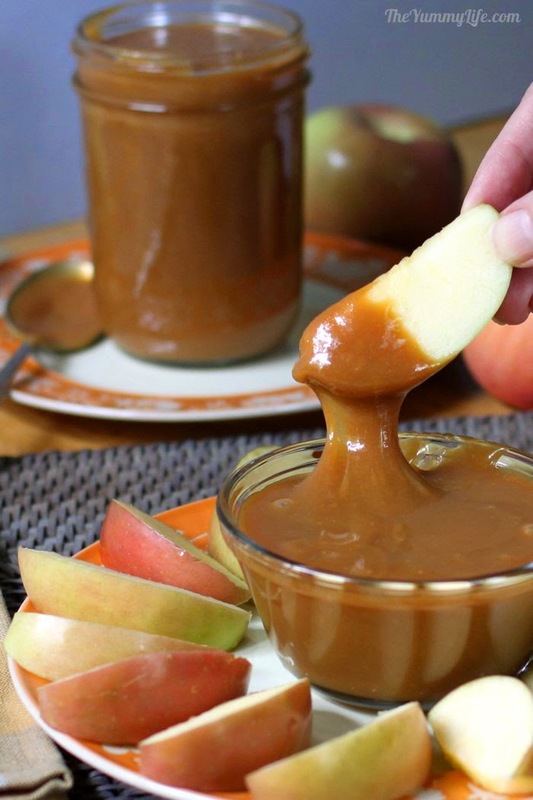 Get the complete recipe for Slow Cooker Caramel Sauce at The Yummy Life. Monica, it looks outstanding. I can see it would be a problem not to eat it all yourself! I'm pretty sure my husband would eat that right from the jar, with a spoon! Lydia, that would be a dangerous possibility at my house too!